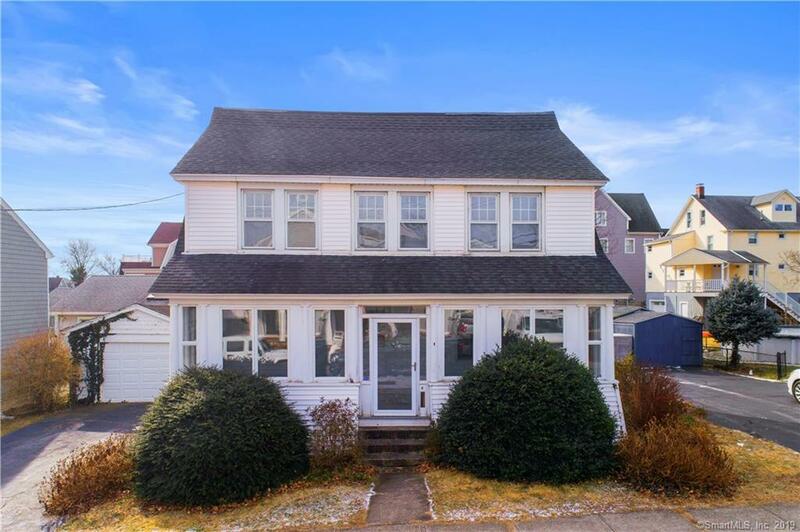 Enjoy sparkling water views from the sunny enclosed porch that welcomes you to this charming 4 Bedroom 1.5 Bath 2,203 square foot Colonial in the sought after Woodmont Beach area. The entertainment friendly home includes a Front to back Living Room with fireplace, a formal Dining Room has a bay window area and built-ins, an eat-in kitchen with galley working area and separate dining area accented with skylights and sliders to deck, and a main level Powder Room. Four bedrooms on the upper level and a full bath. 1 car garage. Renovate and make this your ideal year round home or weekend retreat. A few steps to a gorgeous stretch of sandy beach. Walk to neighborhood restaurants and stores. A short ride to Metro North train and downtown Milford. Be in for summer 2019!